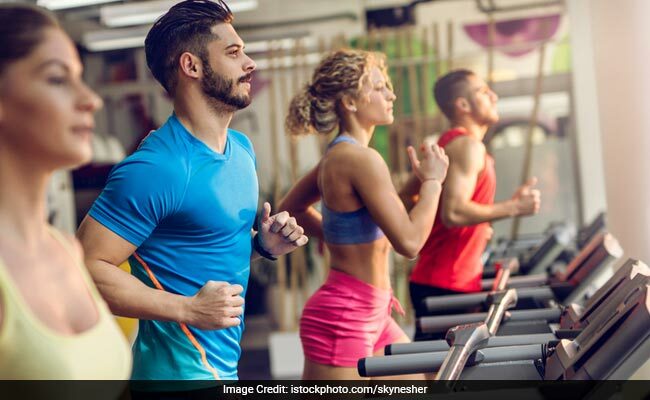 It is well-known that exercising can not only induce weight loss, but also boost overall health, but it seems group workouts are effective than solo workouts. According to the study published in the Journal of the American Osteopathic Association, hitting the gym with your friends can help better reduce stress and boost your quality of life compared to exercising alone. The study found that working out in a group lowers stress by 26 percent while those who exercise individually put in more effort but experienced no significant change in their stress levels. "The communal benefits of coming together with friends and colleagues, and doing something difficult, while encouraging one another, pays dividends beyond exercising alone," said Dayna Yorks from University of New England in the US. For the study, researchers recruited 69 medical students, a group known for high levels of stress and self-reported low quality of life and further allowed them to self-select into a 12-week exerciseprogramme, either within a group setting or as individuals. Those participating in group exercise spent 30 minutes at least once in a week at a core strengthening and functional fitness training programme. At the end of the programme, their monthly average survey scores showed significant improvements in all three quality of life measures; mental, physical and emotional. They also reported a 26.2 percent reduction in perceived stress levels. Considering we are leading a stressful life, not only exercise but certain alterations in our diet can relieve us from excessive stress. Here are some foods that you should include in your daily diet. Bananas are rich in vitamin C, which is a great stress fighting nutrient, It also helps repair cell damage caused due to stress. Lentils are power packed with all types of vitamin B, nature's own happy pill. It helps reduce tiredness and fatigue. Lentils also stabilise the blood sugar and fire up your energy levels. Yogurt is packed with calcium which is responsible for relieving stress. It has been found that the good bacteria in yogurt help to kill anxiety and depression. Coconuts contain medium chain fats that help improve our mental health and infuse positive energy. The scent of the coconut is known to have psychological effect that helps diminish anxiety and slows our heart rate.